It all started in 1962 when Filipino Freddy Melian received a free ticket to Spain from Swissair for being a frequent flier on the airline. Melian was employed by the Ayala Corporation in Makati (now part of Metro Manila, Philippines), and this company was the owner of many very upscale and exclusive housing developments like Forbes Park. The president of Ayala was Joseph McMicking, and he asked his cousin Melian to look for a suitable area by the Mediterranean for the company to build an exclusive resort. The land had to have one kilometre of coastline, abundant water, and easy access to an airport. Melian travelled along the whole Mediterranean coast of Spain on a motorcycle before he found what he liked. Melian returned to Makati with all his data. McMicking and his nephews Jaime and Enrique Zobel chose the property called Finca Paniagua in San Roque, close to Gibraltar. The Spanish authorities approved the development, which would be called Sotogrande. The property had an area of 1800 hectares. The first thing that McMicking did was in 1964 to hire Robert Trent Jones to design the first golf course in Sotogrande. At that time Robert Trent Jones was the world’s foremost golf course designer in the world. The finished golf course was named Real Club de Golf Sotogrande. In 1965 the polo club was built and named La Playa. Soon after that there were many major polo tournaments played in the club. Today there are eleven polo grounds and the most important tournaments are the Gold Cup and the Silver Cup. About 45,000 persons attend the tournaments every year. The first hotel in Sotogrande was built in 1965 and called Tenis Hotel Sotogrande. The architect chosen for this project was the prominent Madrid architect Jose Antonio Corrales Gutierrez. The Marina was inaugurated in 1987 with the name Puerto Deportivo Sotogrande. The property on the left side of the estuary of the Rio Guadiaro was acquired and many luxury Marina apartments have been built there. It contains the Real Club Maritimo de Sotogrande today. A notable golf course is the Valderrama, which held the Ryder Cup of 1997. This golf course is now considered as the best golf course in Europe. This golf course has also held the Volvo Masters from 1986-1996 and 2002, and the World Golf Championship sponsored by American Express in 1999 and 2000. This golf course was called at first the Nuevo Sotogrande, built in 1974 by Robert Trent Jones and considered his masterpiece. In 1981 it was renamed Las Aves. 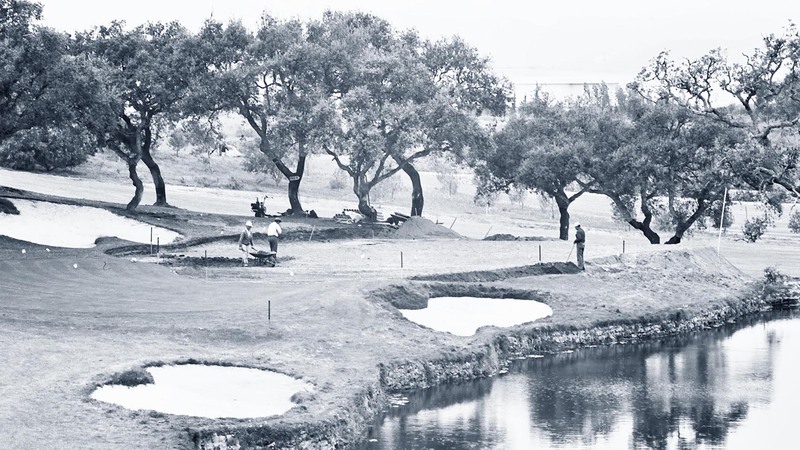 In 1984 Jaime Ortiz-Patiño bought this course to hold the most challenging competitions and Jones redesigned the course and it was renamed Valderrama, which was the name of the original ranch located on this land. Today Sotogrande has four golf courses, namely Valderrama (ranked No. 1 in Europe), Real Club de Golf Sotogrande (ranked No. 7 in Europe), Almenara Golf, and La Reserva de Sotogrande. There are three tennis and paddle clubs, the Sotogrande Racquet Center, El Octogono Tennis Club and the La Reserva Tennis Club. The riding school is called the Centro Hipico Sotogrande. The two big beach clubs are El Trocardero former “El Cucurucho”) and El Octogono. On the Sotogrande beaches you also find the famous Gigi’s beach club, Bahia Limon or Chambao. There are three four-star hotels, namely Hotel Sotogrande, Hotel Club Maritimo Sotogrande, and Hotel Almenara. The last has a spa and the Sotogrande Health Resort. Sotogrande provides several large and small supermarkets, schools, and everything else you need: Supercor, Centro Comercial Sotomarket, Centro Comercial Paniagua, Plaza Blanca, Centro Comercial Mar y Sol and Pueblo Nuevo- Centro Comercial Sotovila. 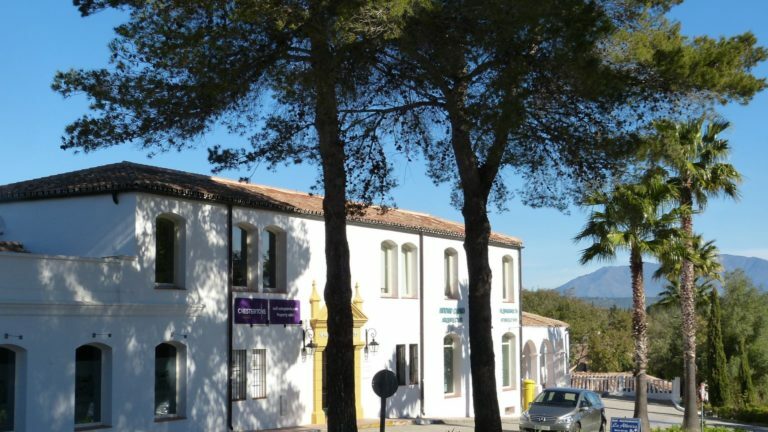 Medical care in Sotogrande is excellent. Despite all these facilities, activities and options, Sotogrande is a peaceful place, mostly frequented by discerning people who prefer to be discreet about their lot in life. Having said that Marbella, with all its chic shopping, restaurants, bars, and nightlife is only 25 minutes up the road. Real estate in Sotogrande consists of single plots between 1,000 m2 up to 12,000 m2, mansions, villas, townhouses and apartments on a low-density concept. These properties can be found on the “bajo” or “costa” part of the resort, the “alto” or inland hilly side, which affords spectacular views to Africa, the Marina and Port for those who prefer to be by the water, and the relatively new La Reserva, also on the upper side and close to the International School.